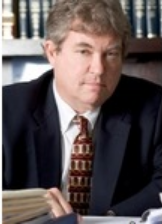 Attorney David Larkin has been an attorney since 1981. He was a corporate/taxation/securities attorney in Beverly Hills, CA in the 1980s where he worked on business transactions in the Estate of Marvin Gaye, contract work for Hal Wallis, film producer who produced Casablanca, Elvis Presley films and more, personal legal work for Los Angeles Dodgers players, drafted and reviewed agreements for the President of MGM, and securities work including the initial IPO for LA Gear. He became a trial lawyer in the late 1980s in Carmel, California, where he represented the Sierra Club in environmental litigation to stop a freeway through a beautiful Carmel canyon, now a state park. He moved to Arizona in 1990 and has been a trial lawyer and business transactions lawyer in his own private practice for 25 years. His practice areas include small business and commercial law, employment law, including employment civil rights, sexual harassment and unlawful discrimination, noncompetition, contracts, and wage and hour laws. He is a trial lawyer who litigates in both Federal and State Courts.